A single large egg can contain between 75-80 calories. Egg yolk is rich in fat, a single egg yolk contains up to 5 grams of fat. 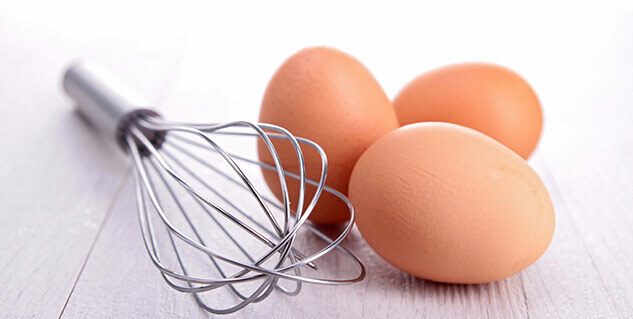 Egg whites can be used instead of whole egg to avoid excess fat and cholesterol. Eggs are truly one of the nature’s superfoods. They are packed with essential nutrients and contrary to popular belief most of the nutrients are concentrated in the yolk and not in the egg whites. But too much of a good thing can be bad too. Egg yolks are rich in fat and cholesterol and can be bad for health if you are suffering from high cholesterol levels or trying to lose weight. Continue reading to find out just why too much of this superfood can be harmful. Eggs are rich in LDL, also known as the bad cholesterol. A single medium sized egg can contain 62% of the recommended daily intake of cholesterol. So, if you are suffering from high LDL levels, Type 2 diabetes or cardiovascular diseases, it would be best to limit your egg consumption. Eggs are nutrition dense and packed with calories. A large egg contains around 75-80 calories, so a breakfast comprising of 2-3 eggs easily makes up for around 250 calories. Most of these calories come from the egg yolk as the whites are largely made up of proteins. So, it is best to avoid whole eggs if you are watching your weight. Including whole eggs in your diet on a daily basis increase the intake of fat. Some of this fat is saturated fat which is very harmful for your heart and contributes to the hardening of arterial walls. 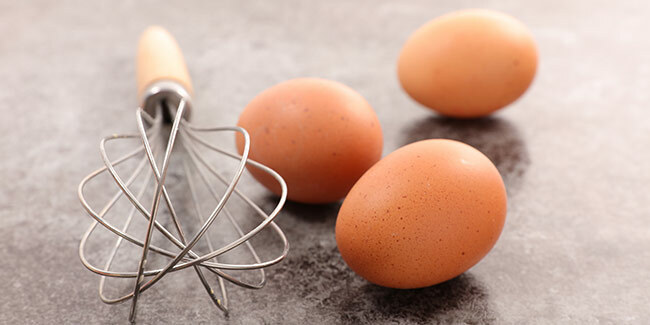 Whole eggs also have a certain amount of trans-fats. These trans-fatswork to lower the good cholesterol, HDL while increasing bad cholesterol, LDL levels in the body. A study from The New England Journal of Medicine suggests that eating two eggs per day increases the formation of trimethylamine N-oxide (TMAO). TMAO is a chemical which is associated with heart problems such as heart attack and stroke. The recommended limit ofdaily consumption of eggs also include the ones that you are eating unknowingly. It is very difficult to keep track of the number of eggs we consume, as they are present in most of the baked goods, some salad dressings, ice-creams, breakfast items and much more. So it’s important to keep a tab on what you are eating. Despite the possible health issues which can be caused by eggs, they are still a great source of nutrients such as folate, Iron, Potassium, Vitamin A,E, D and B and many others micro nutrients. Most of these are found in the yolk, so having the recommended amount of whole eggs, is actually good for your health.